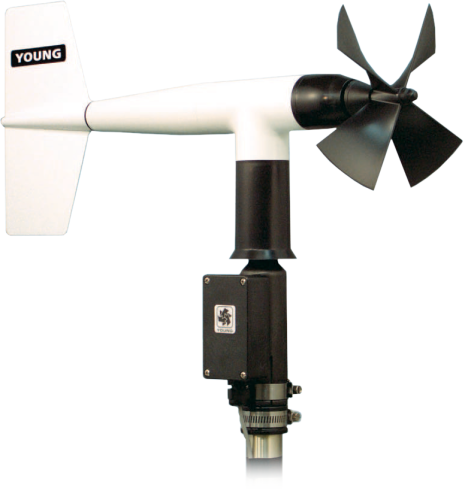 The 05103 Wind Monitor is a light-weight, sturdy instrument for measuring wind speed and direction in harsh environments. 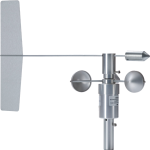 Its simplicity and corrosion-resistant construction make it ideal for a wide range of wind measuring applications. Manufactured by R. M. Young, this wind monitor is cabled for use with Campbell Scientific dataloggers. The 05103 can be attached to a CM202, CM202SS, CM203, CM204, CM204SS, or CM206 crossarm via a 17953 Nu-Rail fitting or CM220 Right-Angle Mounting Kit. Alternatively, the 05103 can be attached to the top of our stainless-steel tripods via the CM216 Sensor Mounting Kit. Please note that a lightning rod cannot be used when the CM216 attaches a 05103 atop the tripod’s mast. Therefore the CM216 is only recommended for mounting these sensors if the deployment is short term. The 05103's propeller uses one pulse count channel on the data logger. Its wind vane requires one single-ended channel and access to an excitation channel (the excitation channel can be shared with other high impedance sensors). The 05103's propeller is measured by the PulseCount Instruction in CRBasic and by Instruction 3 (Pulse Count) in Edlog. The wind vane is measured by the BrHalf Instruction in CRBasic and by Instruction 4 (Excite-Delay-SE) in Edlog. The measurements are typically processed for output with the Wind Vector instruction (not present in the CR500 or CR9000 but is present in the CR9000X). Do the 05103-L and 05103-45-L produce the same output? 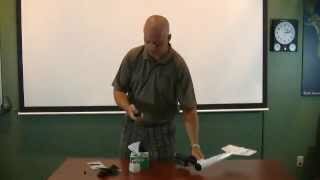 Is it possible to get 4 to 20 mA outputs for both wind speed and direction from the 05103-L? Yes, but this is not a standard product that Campbell Scientific offers. We can, however, order one from the manufacturer (R. M. Young).